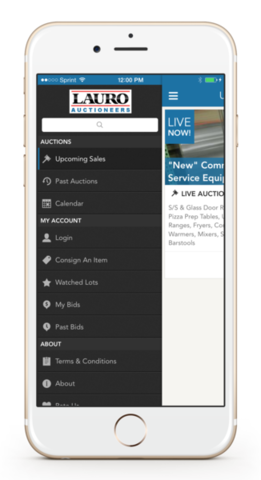 Mobile Auction Bidding App Available Now! Lauro Auctioneers has launched our Mobile Auction Bidding App that is available for download on iTunes & Google Play. You can now Bid in Real Time directly from your mobile device. 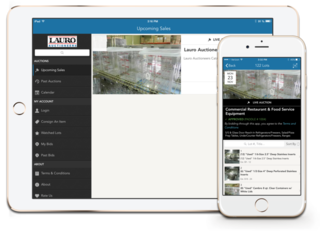 Lauro Auctioneers has launched our Mobile Auction Bidding App that is available for download on iTunes Apple App Store for iPhones and iPads. (Google Play for Android smart phones coming soon). Feel free to contact us 954-760-9333 with any questions.